Getting your first or your next tattoo? Here are some vital things to know to get you through the before, during and after period of getting a tattoo! Get an idea of what style tattoo you want. Not just the image but will it be traditional, cartoony or more realistic? Find the ideal artist for you. Every artist has a style, find the one that suits you best and the ideas you have in mind. Don’t forget a good tattoo is going to cost a good amount of money. Cheap tattoos will look it and you don’t want tattoo regret. Get yourself prepared, bring with snacks and water, do some stretching beforehand as you will be sitting in that chair for a long time. Communicate to your tattoo artist. It is so important! The more you can communicate and the more visuals you can give to the artist the closer representation they can make for you. When the artist applies the tattoo stencil do not be shy! This is the moment for you to truly decide if it is in the perfect location, if it is the right colours, the right styles and so on. There is no harm and no problem with changing it at this point…but it is your last chance! It is absolutely vital that the needles your artist uses are new…you should see them take it out of the packet. Don’t accept anything less. Get yourself meditative or if you know you cannot do that then bring distractions…your phone, Netflix and headphones could be all you need to get through it. It will be painful, so manage it as best as you can and ask for pauses or breaks if you need to. Painkillers are not compatible with getting a tattoo so don’t try that! 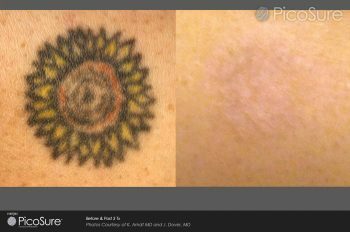 Take good care of your new tattoo, it will take time to heal and it may look horrible and bloody at first but that is normal. Be gentle, don’t rub it or pick at it and it will heal up fine. While your delicate tattoo is healing wash it with antibacterial soap, this will help prevent any infections and let your tattoo heal. Don’t worry if you need some small touch ups. Your artist will be happy to help ensure the tattoo is just what you had in mind. Enjoy your tattoo! Show it off and spread the word for your tattoo artist.